A pretty turquoise ribbon hair band, but a sparkling silver lightning flash makes this much more edgy than your average child's hair band! 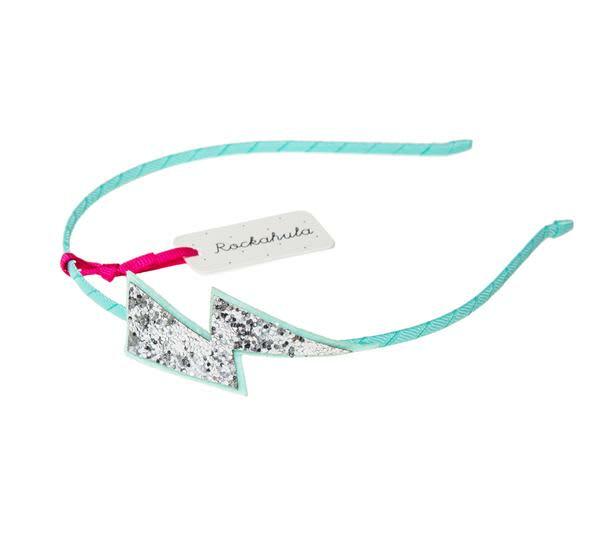 Beautifully designed in England by Rockahula, a boutique accessories brand for children. Not suitable for children under 36 months due to small parts.